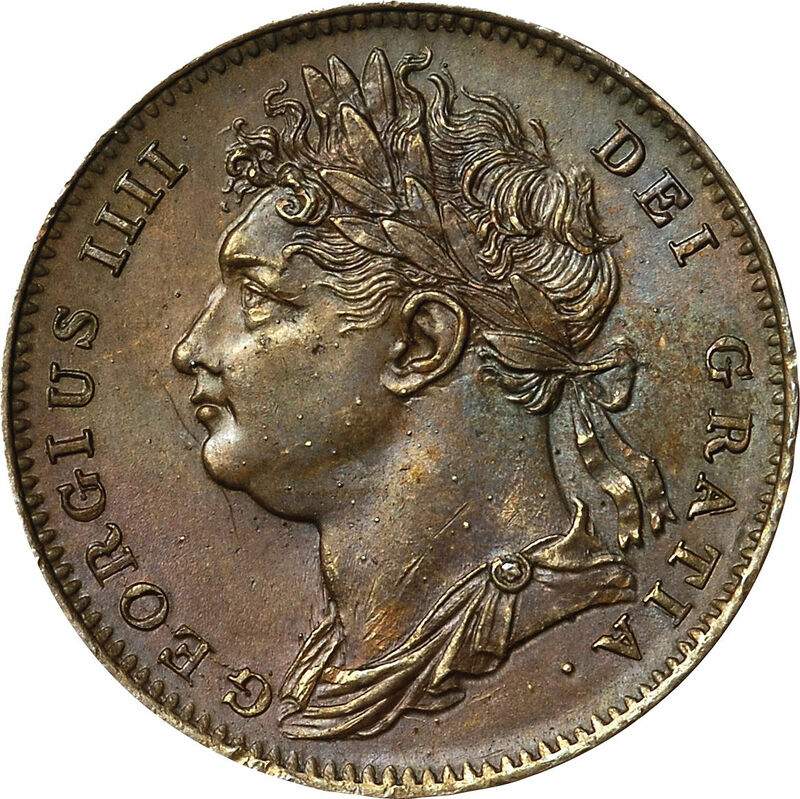 Obverse: Laureated and draped bust of King George IV "GEORGIUS IIII DEI GRATIA" (George IV by the Grace of God). 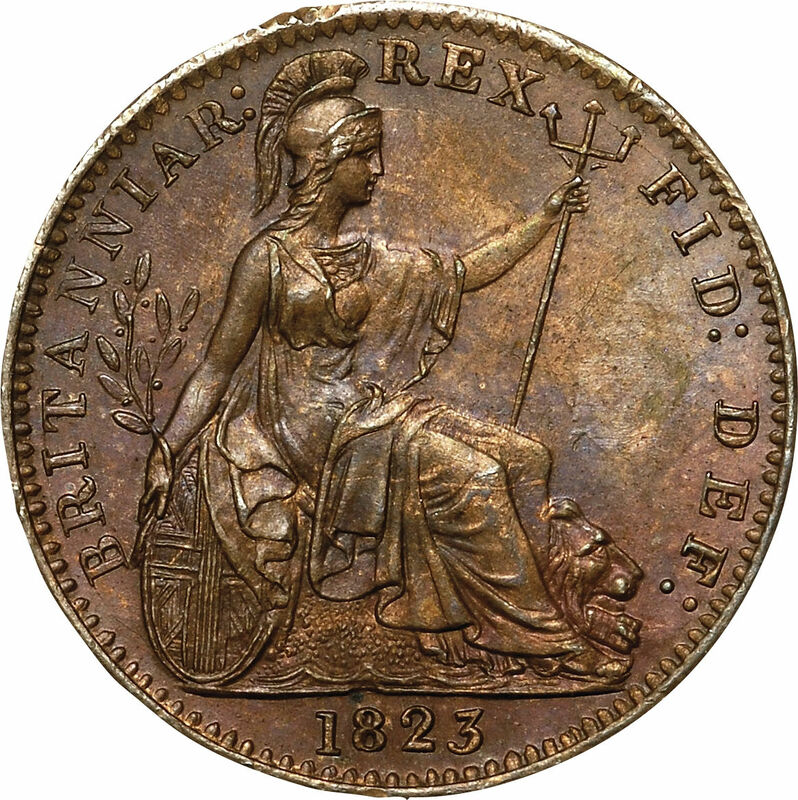 Reverse: The figure of Britannia, helmeted, and seated upon a rock, resting her right hand upon a shield, in which she holds an Olive branch, and, in her left, the Trident, — at her feet is a Lion. 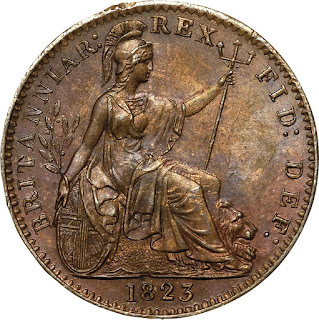 Legend: "BRITANNIAR: REX FID: DEF:" (King of The British territories, Defender of the Faith) with the date of the year of issue as Exergue. 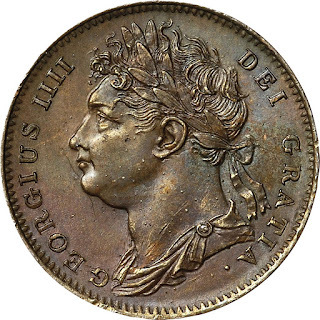 The first type of George IV Farthing 1821-1826 obverse and reverse was designed by Benedetto Pistrucci. References: KM# 677, Sp# 3822.